Alliums are clusters of small, star-shaped blossoms. Some of the blossoms can be compact, forming a round, globe-like cluster. When fresh, they should have one-third to one-half of their blooms open. Varieties come in purple, lavender, burgundy, and white. They have a slight scent that is noticeable and are very affordable. European folklore describes them as having magic-like qualities because they believed they were good luck and able to ward away the evil. Allium flowers are superbly unique round blooms that consist of hundreds of tiny flowers. With a differently available assortment of flowers, hues, height and bloom times this makes it the perfect flower for any event. Allium used in repetition creates a wonderfully cohesive look that is hard to achieve with any other flower. Giant allium flowers bring out an even luxurious look when placed correctly. The beautiful purple and blue allium with its variety of hues can make it so easy to go with any theme at any event. Allium flowers or Ornamental onions as they are called make one of the most beautiful and unique blooms in summer and spring. The globe-like shape stays the same throughout the season, making it one of the longest lasting blooms from a bulb. 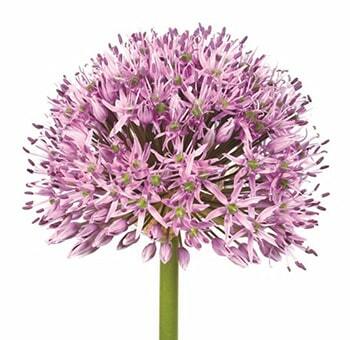 Belonging to the monocotyledonous flowering plants, allium includes a vast variety of species ranging from onions shallots to garlic leeks and chive. There are many variations in accordance with color, height and look but each of them is surprisingly attractive and beautiful. Blue allium and its hues are the most striking to the eye, while the purple allium give off a more royal look. The beauty of allium is not only from the flowers, but from its gorgeous leaves too. The fact that they look good in gardens and vases as well as wedding events and bouquets is just an added benefit. It was a Russian botanist who discovers alliums first in Central Asia. He introduced them to planters in the Imperial botanical garden of St. Petersburg. The avid horticulturists were intrigued by this flower. So once the British got their hands on this new garden plant, more varieties were created. But it wasn't until the late 1800’s that people actually started giving attention to them. The beautiful allium comes in many varieties and choosing one as your favorite will be awfully difficult. The picture-perfect shape along with longevity is the two key factors that contribute to making them really ideal for absolutely any use. However, there are some popular varieties of the Allium plants that are striking and gorgeous than the others, like the Purple Sensation. Very much according to the name, you can guess that their pretty purple blooms are a sight of magnificent beauty. When in full bloom, the species of allium measure somewhere between two to four inches. The start to show in early June and boast sturdy stems with an impressive height of almost 30 inches. Thiscreates the effect a floating flower making them look like surreal emerging perennials. The Globe master and Gladiator species is the tallest and most beautiful architecturally. The oversized globe bloom is very renowned and people tend to love them almost instantly. 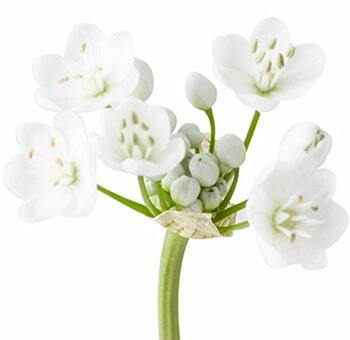 The stems measure between three to four foot in size and look amazing when paired with white peonies or delphiniums. 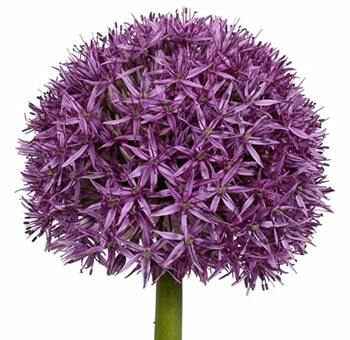 The deep purple globe master or gladiator allium will look especially good teamed with pink peonies or bearded Irises. Blooming in early to mid-June, these promise a splash of color and attention wherever they are. The Drumstick allium is the most unique of them all. With two tones burgundy and green head they look very modern and chic in minimalist bouquet arrangements. This species too blooms in early July. Alliums also come in the color yellow making a completely different species that bloom in midsummer. The bright yellow flowers are ideal for a splash of color and can look extremely amazing in summer wedding decors. The Schubert allium can be correctly said to be the most extravagant of the lot. It’s just eight inches in height but can easily be the most dramatic allium with its umbels that look like exploding pink fireworks. It is a beautiful flower whose seed heads too adds a special touch long after the blooms fade. 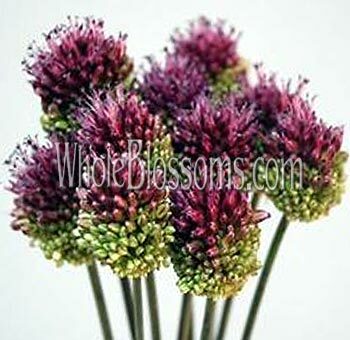 Where to buy Allium Flowers Online from a trusted site? Alliums are easily available throughout the season. Catering to the entireevent needs these flowers to make a perfect addition to any décor. Mixing up with themes and even providing a wow factor giant allium are the way to go. But if you're looking for allium for sale and wondering about where to buy them from, we highly suggest online wholesalers like Whole Blossoms. These trusted online shops guarantee fresh and fast delivery. Their uses range from centerpieces to bouquets or even for making a wedding arch. So, good quality and budget-friendly prices are important. That is something that can be possible if you purchase them in bulk from Whole Blossoms. They even deliver them right to your doorstep and the 24/7-hour delivery is perfect for an unplanned event or emergency. This beautiful flower is sure to surprise and delight each and every one that comes across it.